Sell Your Home Quickly and Easily! If you want to sell quickly, without worrying about the condition of your home or high closing costs, we can help! Submit your contact information and property address in the form above. We will contact you to discuss your situation! We will discuss your options specific to your situation. Once our offer is accepted, we can close quickly. We do not have to wait for a bank to come through with financing. We can help you SELL your property in and around the Birmingham, AL area. We provide honest solutions (WE BUY HOUSES) for sellers who need to sell fast! We have been in business for over 20 years. We are one of Birmingham’s best investing groups because we focus on doing things right. We specialize in all phases of real estate. We believe our success is a result of the relationships we’ve built. Our process of buying and selling quality real estate is simple. We Buy Houses that are in good condition and also the ones that aren’t the best looking in the neighborhood. So when We Buy Houses in and around Birmingham, the community embraces us because we’re helping to beautify the community they live in! We Give Homeowners a Quick Solution To Sell Their House Fast in Birmingham. Do you have an UNWANTED HOUSE – GOOD OR BAD? 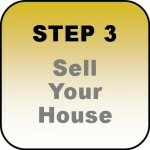 Something we take pride in is being able to help so many homeowners who need to sell their Birmingham area house fast. We Close Quick! Do you need to sell for any reason or a result of a foreclosure, bankruptcy, fire damage, divorce or probate/estate? Are you a landlord who’s tired of dealing with tenants? We Buy Houses in Birmingham! We would love to help you discover all of your options.